How do you describe your Service? We have greatly increased our services over the years. Common Stock Warrants now provides investors with all of the warrants trading, all industries and sectors in the U.S. markets as well as on the Canadian exchanges. Originally, Precious Metals Warrants, was a market data service in essence, providing specific data to assist investors interested in investing in warrants on the commodity and natural resource stocks trading in the U.S. & Canada. In May 2013, we greatly expanded and enhanced our services under the current name of CommonStockWarrants.com. Never! All of our information is presented to you on our website. We update the data, price of common shares and warrants each day after the markets close. Can you buy the warrants for me? No, we are not brokers nor do we provide investment advice. We provide you, the investor, the data you need so that you along with your investor advisor have the complete details on warrants to assist with your investment decisions. Will my brokerage firm buy the warrants? The warrants in the U.S. are trading either on the NYSE or the Nasdaq and can easily be purchased through your current brokerage firm. There will be no difficulty buying the warrants through your brokerage firm. For United States investors if maybe slightly more difficult depending on your personal brokerage firm to purchase the Canadian stock warrants. The facts are that many of the stock warrants trading in the PM sector are on Canadian companies. Those Canadian stock warrants have not and will not be registered in the United States, but U.S.investors can buy and sell them, but not exercise them (which we never recommend anyway). In many cases, a U.S. market maker will establish a market for specific Canadian warrants and will assign a U.S. trading symbol (5 alpha characters ending in F) to facilitate trading in the U.S. We provide this symbol in our warrant databases, if available. For those Canadian stock warrants trading without a U.S. symbol this may create another issue for U.S. investors. If your current U.S. brokerage firm will allow you to place an order using the Canadian symbol for the stock warrants that is the preferred method. Unfortunately, there are few U.S. brokerage firms now furnishing this platform to investors. Currently, my preferred broker, is Interactive Brokers (IB), especially for U.S. investors looking to purchase the stock warrants trading on Canadian companies. IB allows clients to trade in virtually all markets, worldwide, from stocks, futures and options, etc. It is an easy signup process and if you are only going to trade the Canadian stock warrants or Canadian securities, I would suggest setting your Currency to Canadian in the IB (Interactive Brokers) system. You can easily download their Trader WorkStation platform at which time you will see your account and have access to all of the Canadian stock warrants which are trading. Only recently did I discover that the stock warrants are under this Trader WorkStation and not under the normal IB trading. Life just got easier. Folks, this is easy so don’t get frustrated. I realize that most investors, including myself, hate to open new accounts and have more paperwork, but, the benefits to be gained by having a brokerage firm which will allow you to easily buy and sell the Canadian stock warrants will actually simplify your life. Interactive Brokers (IB) allows customers trade stock warrants, stocks, futures and options all in one account. Canadian or U.S. stocks or stock warrants, no problem. We did our own due diligence to find a new brokerage firm, as should you, but we also like the fact that our friends at Casey Research also ranks IB at the top of the list of Online Brokerage Firms. You can read the Casey Special Report here. Making trading decisions is difficult enough without having to worry about whether your broker will execute a trade. Stop the worry and check out Interactive Brokers. I do not have an account at Fidelity but understand that after opening a basic account you can then sign up for International Stock and Currency Trading. This will allow investors to purchase the Canadian stocks and stock warrants either online or by using their customer support. Do you make any recommendations or specific warrants to buy? No! We do not make any recommendations and have been advised that most of the Canadian warrants are not registered in the United States and that any recommendations thereon, would not be advisable. For those subscribing to our Gold Subscription, you will have access to Dudley’s Portfolio which is primarily in the resource sector with his current holdings, updates and weekly audio. While not specified recommendations, you will see which warrants Dudley owns and can follow him or not. I have a Mac computer. Can I use your service? Can I use my iPad to access your data? All of our services can be accessed on your iPad, with one exception. Our audio requires Adobe Flash players which to our knowledge is not available for iPad. Do I have to exercise the warrant or can I just sell it? The warrants are purchased and sold just like the underlying common stock of the respective company. In our opinion, we cannot foresee the circumstances where it would ever be beneficial to the individual investor to exercise their warrants. 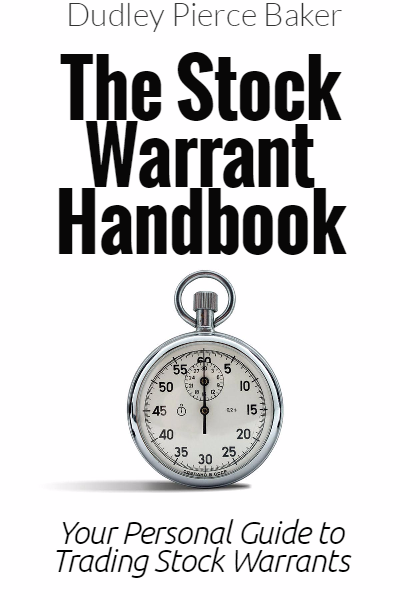 When you feel the time is right; you merely sell your warrants just as you would sell the common stock. This is very important, so read carefully. If your warrants are “in the money”, i.e. the common stock is trading above the exercise price of the warrants and the warrants are approaching the expiration date you must take some action. If I do not exercise the warrants and the warrants are “in the money” on expiration date will the funds be placed into my account? Definitely NOT. You the investor MUST do something or the warrant will be totally worthless. You must either sell the warrants before the expiration date or exercise them (however, we can not see the circumstances where this would ever be beneficial to the individual investor). Also, see above, Expiration Date for more info. Can you sell OK up to day before expiry? Yes! Unless a company has a specific early call feature there would be no limitation on when you can sell up to the expiry date. Why do some companies have more than one warrant? Warrants are usually issued in connection with a financing or stock offering. The companies make this decision so we as investors merely take what comes our way. As you can see in our Warrant Database several companies have two or three different warrants trading with different exercise prices and expiration dates giving investors a decision to make as to which, if any, of these warrants to buy.